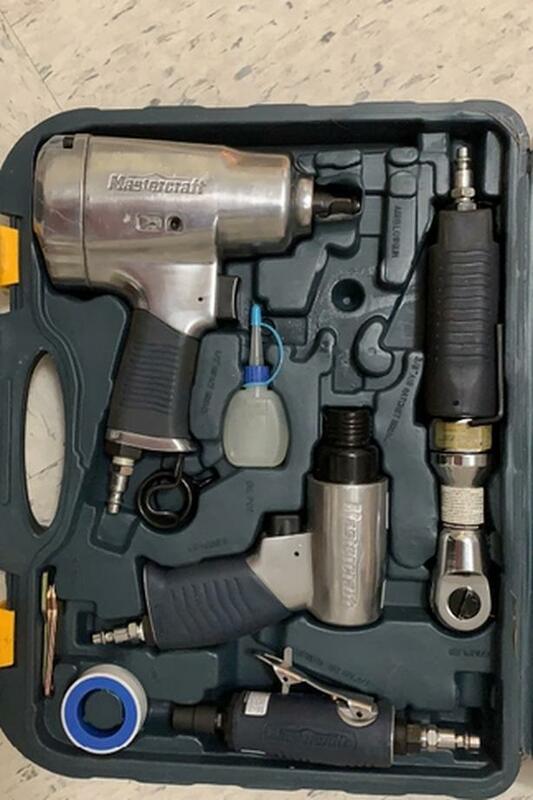 Mastercraft pneumatic air tool set. 1/2 inch air Impact, 3/8 inch air ratchet, die grinder, air hammer,Complete with all accessories. A great mechanics starter set. Asking $100 or best offer. This is a brand new said never used.